Each week, we collect items for the BelAir food bank, located at BelAir United Methodist Church on Shelley Mullis Rd. The food bank serves those in need throughout the Indian Land Community. Though we give a specific idea of what to bring each week, based on what the food bank needs, all items are welcome! 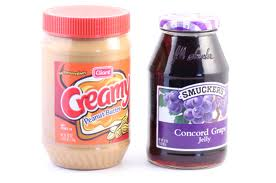 This week we need peanut butter and jelly.